Welcome to the hotel and home of Cathy and Bernard Chemarin. Enter the comfortable ambience of a house as generous and charming as a friendly smile. Here, three generations have practised the art of welcoming guests and offer you the very best of good living. 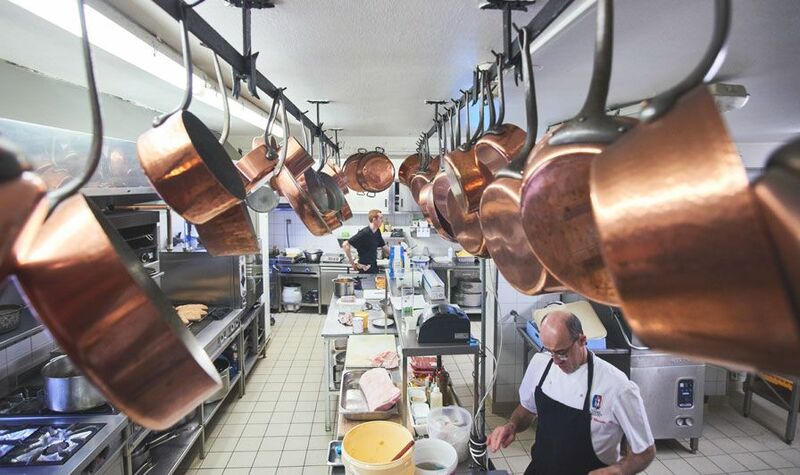 Open all year round, our hotel and restaurant invites you to enjoy relaxing gourmet stays in the beautiful Rhône 69 region, famous for its food. between Beaujolais and the Monts d’Or. for your charming short break in the Rhône. Here in our hotel in the heart of Quincieux, we welcome you into a beautiful building full of eighteenth-century character where charm and comfort are perfectly combined. 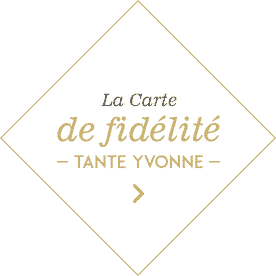 The Tante Yvonne Hotel offers you 16 charming rooms entirely renovated with contemporary design, and a gourmet menu. Our hotel near Villefranche sur Saône and to the North of Lyon, between Burgundy and Rhône-Alpes, offers you access to superb holiday resorts in the heart of very different landscapes: Dombes and its lakes, Beaujolais and its vineyards, the Rhône and its riverbanks, Lyon and its mountains! Here, three generations have succeeded each other in the kitchen! 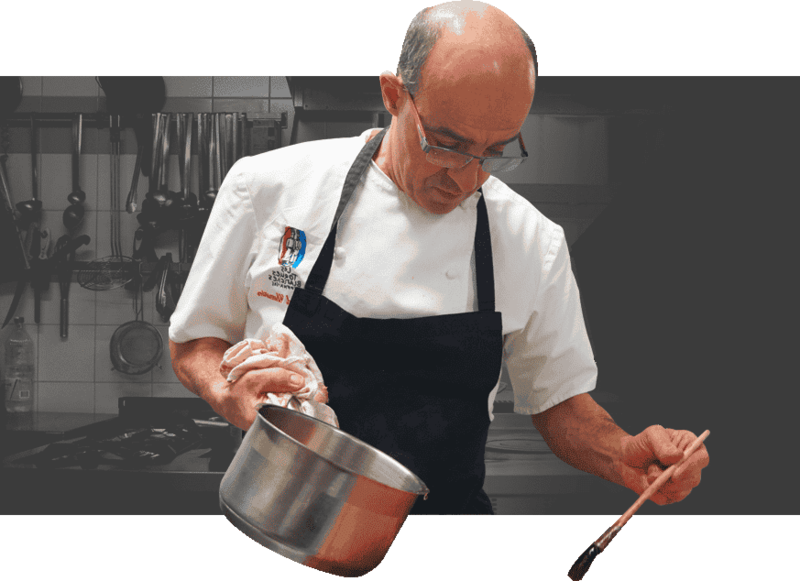 Grandmother Yvonne, father Michel and now Bernard, a student of Paul Bocuse and Pierre Orsi. 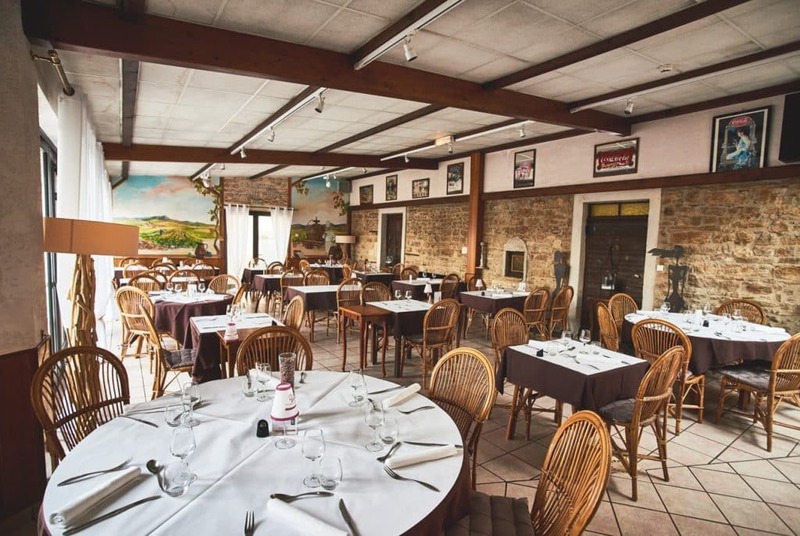 Summer or winter, come and enjoy the delicacies and delights of our gourmet-style restaurant near Lyon. All accompanied by a wide selection of wines from the region, rich in vineyards, between Lyon and Beaujolais. 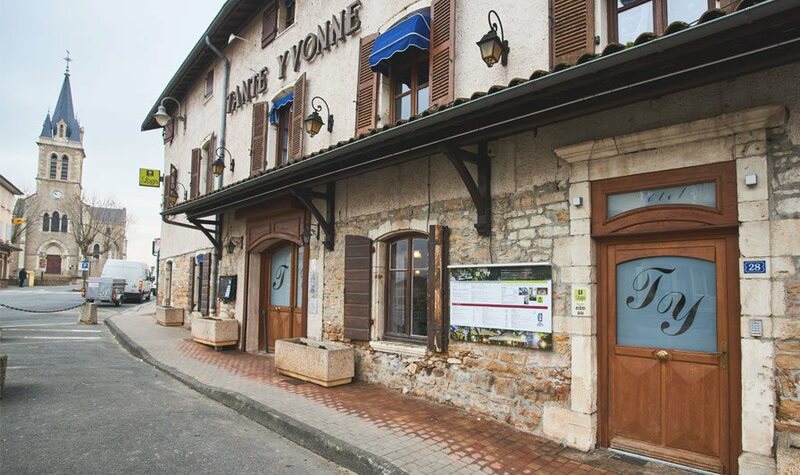 On sunny days, the tree-lined terrace of Tante Yvonne hotel restaurant in Rhône 69 region, is a delightful place to share a delicious lunch or dinner! 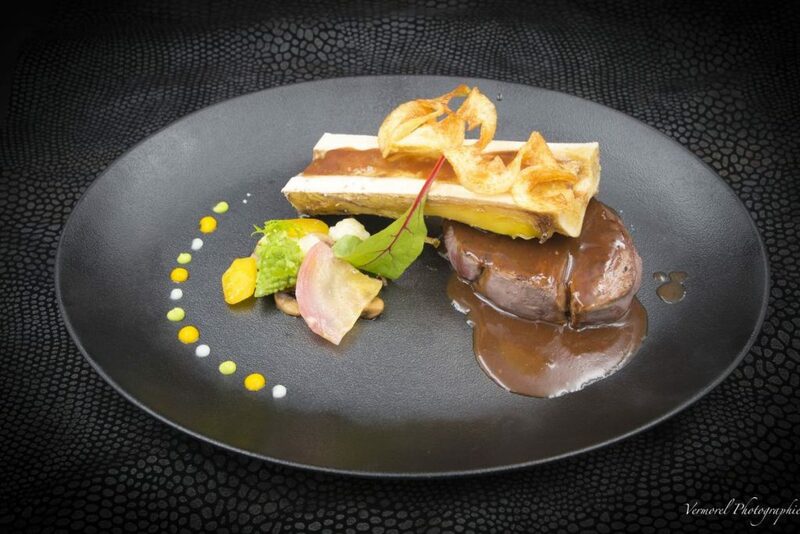 Discover the restaurant menus of our semi-gourmet restaurant near Lyon. All imagined so that your gourmet meal is a magical moment. Chef Bernard Chemarin and his team presents his 2018 menu. Come discover his pan-fried St Jacques, creamy squash with chestnut and dried bacon or his pigeon croustade with foie gras sauce. Specialty Aunt Yvonne, her frogs fresh millers.  Do not hesitate to contact us for any additional information, if you want to know more about the hotel, the restaurant, the caterer, your evening stopover north of Lyon. Discover nearby the Automobile Museum of Rochetaillée-sur-Saone, Lyon, Villefranche-sur-Saone, or the medieval city of Trévoux!